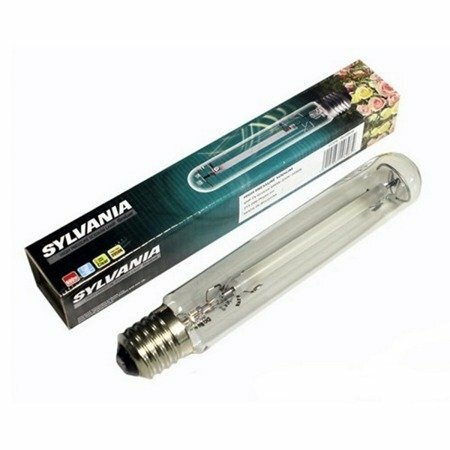 This bulb can be used for growth and bloom. the light is mostly red/yellow spectrum, needed for the flowering stage but it also has 30% more of the blue spectrum (for the vegetative stage). The Sylvania Grolux is a good compromise, if the utilization of only one bulb is desired. The Grolux with 58 000 lumen features an even higher number of lumen than the SHP-TS. It has a mostly red and yellow light spectrum, which is needed for the blooming phase.